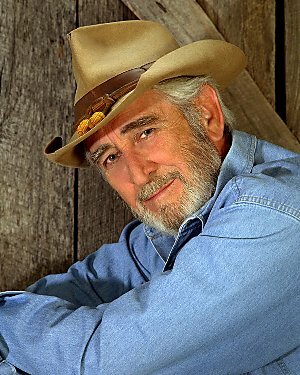 A voice as familiar as country legend, Don Williams, contradicts that old saying, “you can't go home again” because listening to his new album is not only as heartwarming as going home but it also reminds you of what you have been missing. I suspect I'm not the only one who will be affected this way. I think it will be the same for a few trillion other lovers of great country music as well – And So It Goes when you are as good as he is. When his familiar, mellow voice spills from the speakers and slides through your being from head to toe, you feel like you've just been wrapped up in your favorite ol' “huggie”. His more than fifty top hits from the early '70's through the '90's, earned this well known balladeer his induction into the Country Music Hall of Fame in 2010. This album is indicative of the quality of the music that earned him this honor. From the very first track to last, you will find yourself smiling for no particular reason other than the music has touched you and it simply feels good. Then there's that voice, that wonderful warm baritone that so effortlessly whisks you out onto the dance floor within your own mind. There are some real bonus treats on this album, both instrumentally and vocally. Alison Kraus sings beautiful vocal harmony, and plays fiddle, on “I Just Come Here For The Music”. Keith Urban sings harmony vocals on “Imagine That” and plays electric guitar on “She's With Me”. Vince Gill sings harmony vocals both on “Heart of Hearts” and joins Urban on “Imagine That“, and he also has a wonderful electric guitar solo on “She's With Me”. Chris Stapleton sings harmony on “Infinity” and Al Anderson comes on board to do the electric guitar solo on “Heart of Hearts”. It goes with out saying that their participation on this album speaks to the degree of respect they all have for Williams. The background vocalists on this album are listed as Garth Fundis, Tim Williams, and Billy and Chip Davis. I am pretty sure that, in Nashville, that translates to mean “not only are we good, but we all had a great time in the studio”. Williams co-wrote on two of the ten tracks. With his son, Tim Williams, he wrote “She's With Me” and he and Tim co-wrote with Mike Noble on the title cut. He states, “The only description that I've ever had for songs I choose to do, is that they affect me emotionally and that, hopefully, they have something to say that will touch other people.” Kudos to Williams, the brilliant songwriters, his wonderful band, and producer Garth Fundis, because this album clearly does that. When the songs are so visual, and slide so effortlessly through your senses to touch your heart, you know they got it right. Quality vocals, silken harmonies, splendid orchestration with musical integrity. The entire album is one of the best to come across my desk so far this year. From first song to last it's the epitome of what a great album should be. When you set life to music, this is what it sounds like... and so it goes. And So It Goes, on Sugar Hill Records released June 19th, his first since 2004.